The new season of Game of Thrones has already started, and with it, a new RPG game: Game of Thrones Ascent. 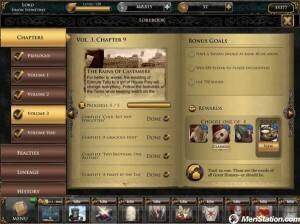 It is a strategy game with a little bit of RPG, set shortly before the start of the saga, when Jon Arryn was still alive and he was the Hand of the King Robert Baratheon. We started the game with a practical and enjoyable tutorial in which we can choose our character, assign his or her key attributes and create a name and emblem for our home. From here on, we will have a lot of possible missions to choose from, where we’re gaining experience and we will try to expand the lands and possessions we have. It is a game clearly aimed at the fans of the George R.R. Martin’s saga, where we can find the innumerable houses of the Seven Kingdoms, such as Stark, Lannister, Targaryen, Greyjoy or Tyrell, among many others. The goal is clear: to rule Westeros seated on the Iron Throne. 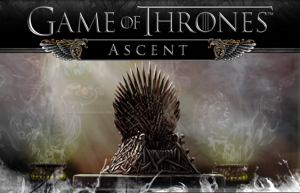 Game of Thrones Ascent is perfectly contextualized and has an incredible level of plot complexity, with long explanations and dialogues. This can be a problem if you we don’t have considerable level of English, since the game is not translated into any other language. It displays a high level graphics, with carefully detailed illustrations. However, the gameplay can be somewhat complex due to the incredible number of menus and submenus that hinder a bit the learning process. However, this amount of menus offers a multiple possibilities with our character, creating pacts, alliances, and combats, recruiting mercenaries and controlling the economy. It is an interesting choice for all the lovers of the popular saga A Song of Ice and Fire, which will provide many hours of entertainment. The game is free, but includes in-app purchases to accelerate some actions. We can download it from the App Store and will be available soon for Android devices.